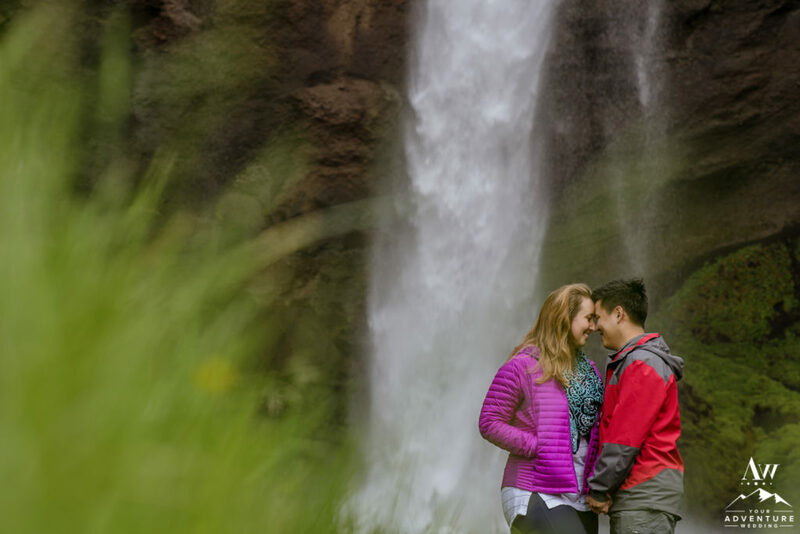 Making the decision it’s time to propose a lifetime of adventure to your special someone is a really exciting moment in your life! 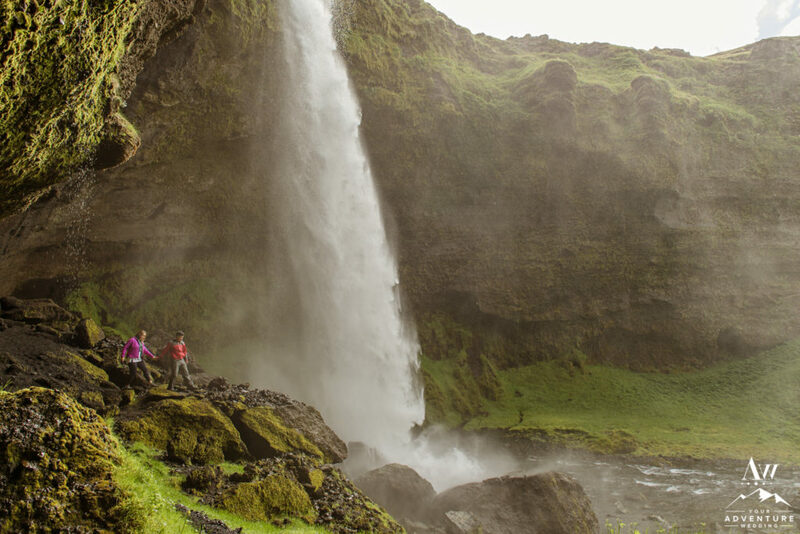 You start by dreaming of the possibilities and what he/she would really enjoy the most. 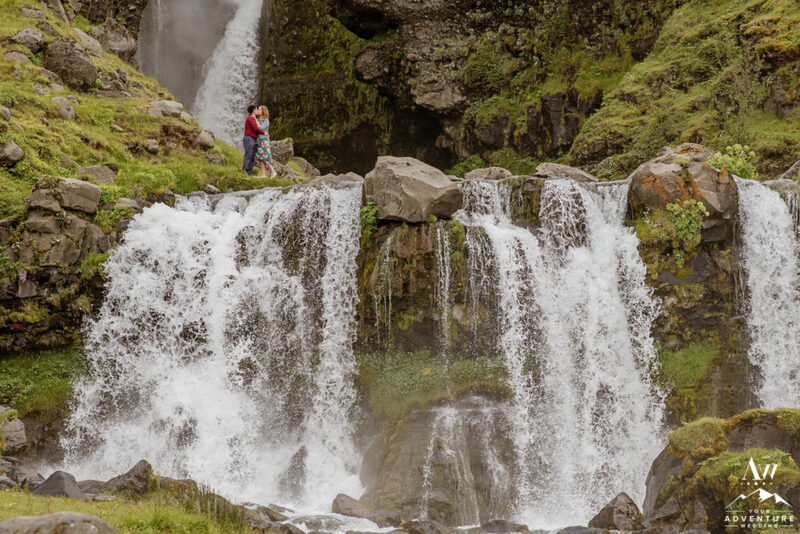 Although it’s crazy fun, at the same time can be a daunting experience that you can be consumed by. 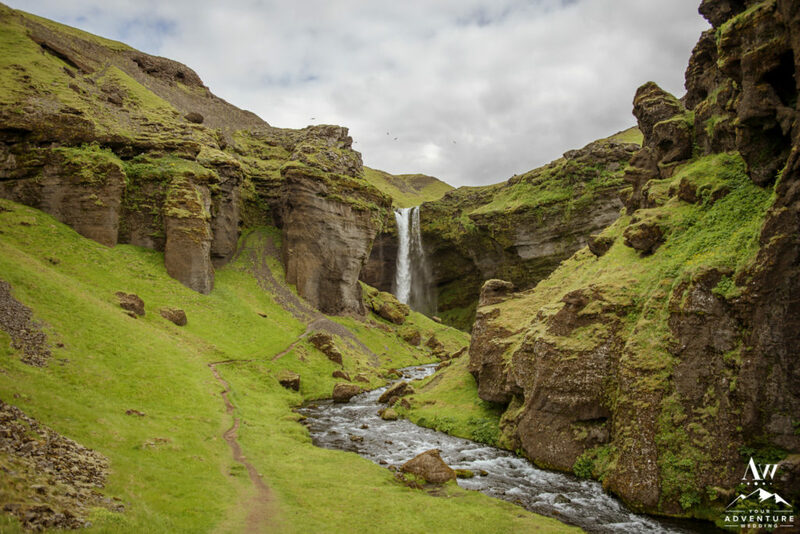 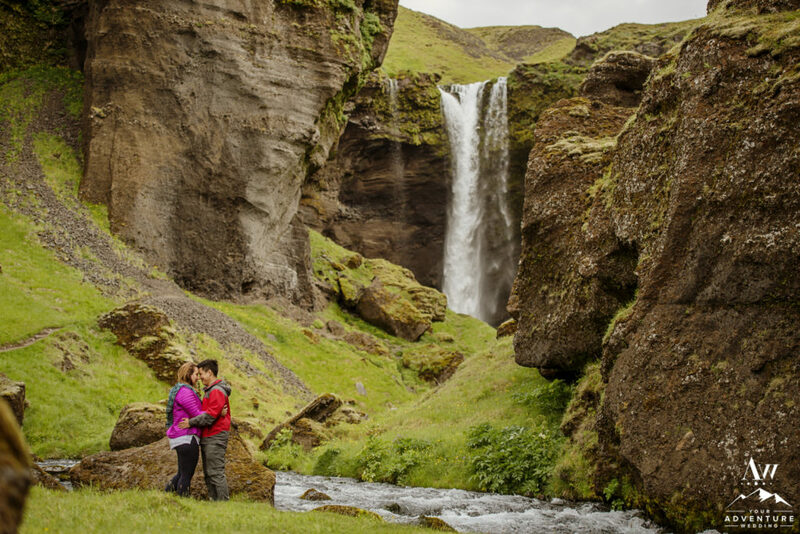 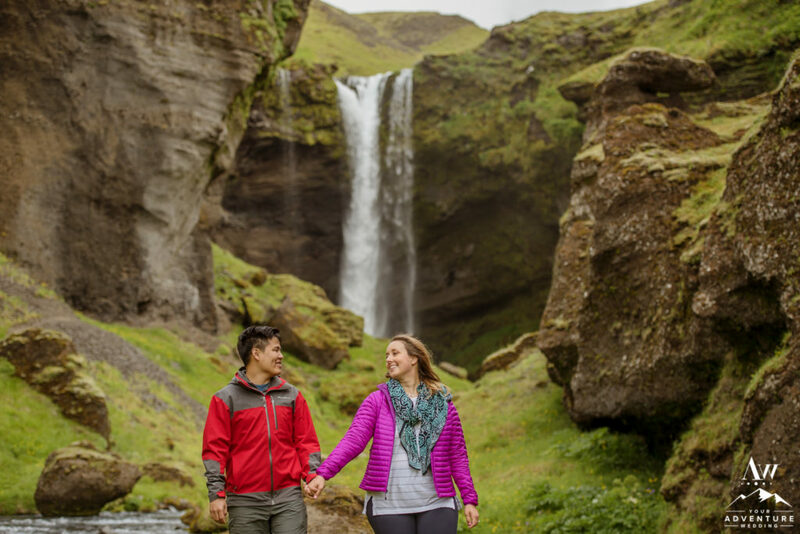 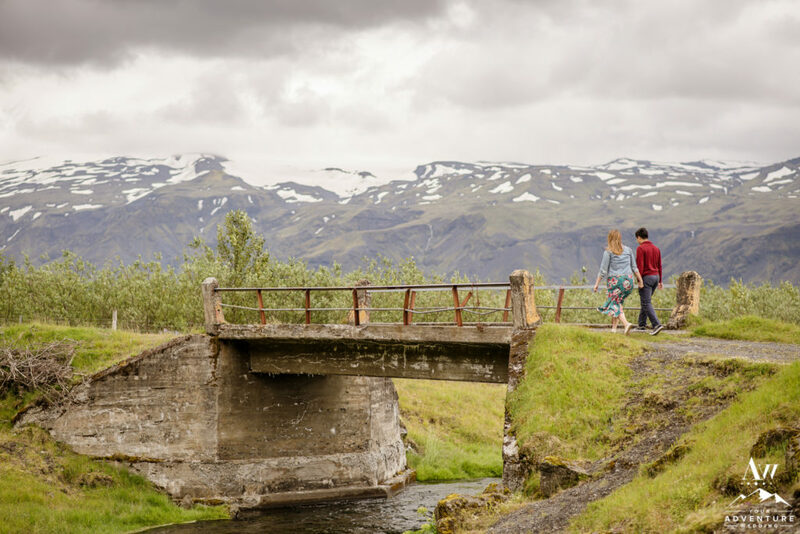 But then… you and your significant other have always wanted to explore Iceland, so you book a trip! 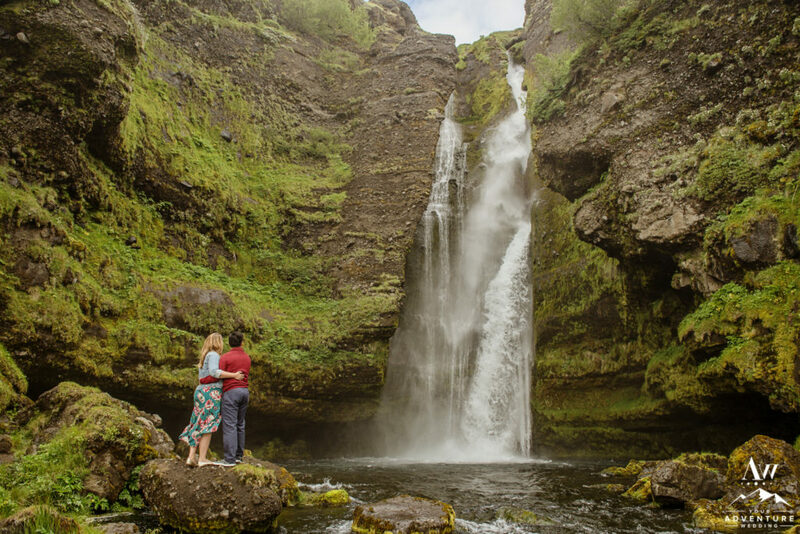 You start thinking Iceland would be a super cool place to propose amidst of all its natural intoxicating beauty! 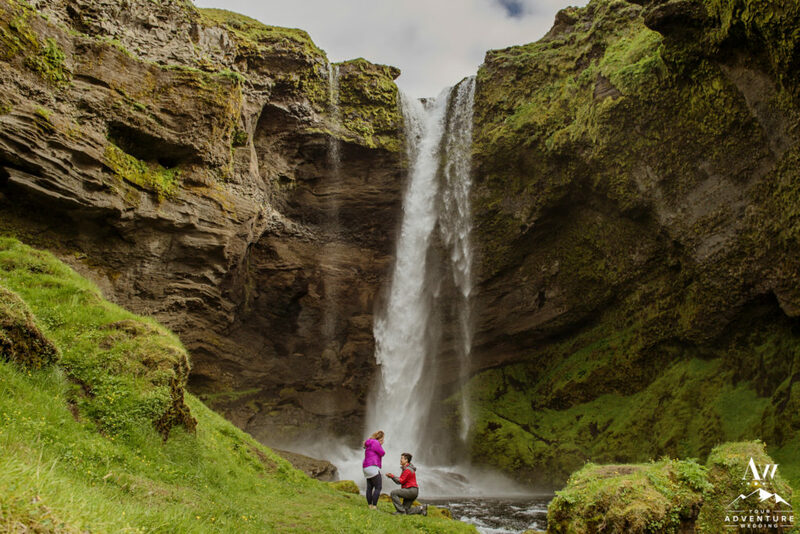 Iceland Marriage Proposal = Fantastic Idea! 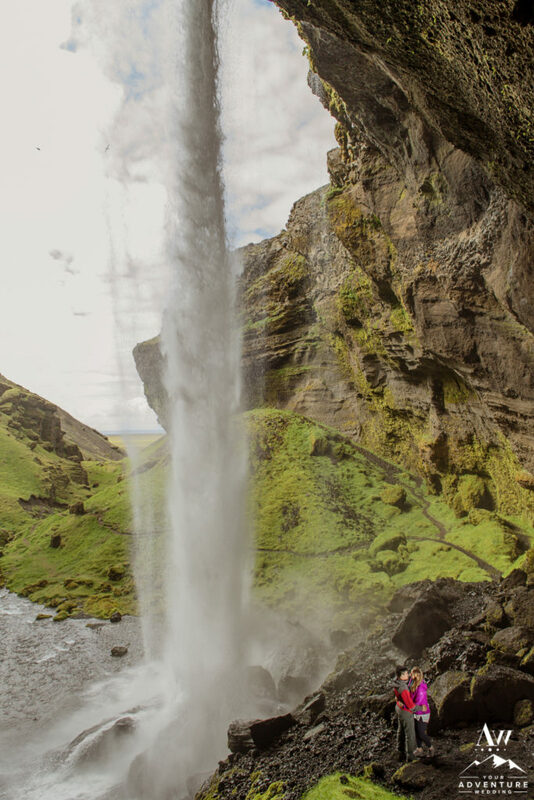 Somehow though, you get lost in the endless options and you’re all overwhelmed again. 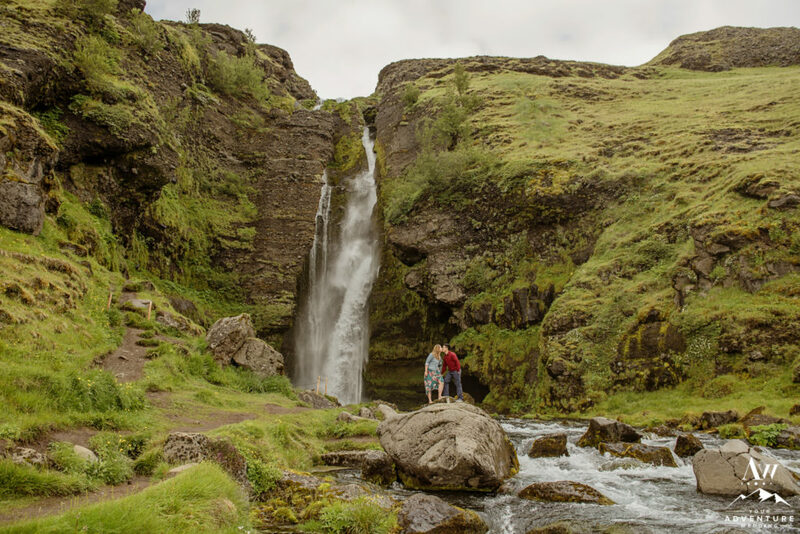 You also find yourself wondering if you’ll be able to keep it surprise and if you’re going to end up with 100’s of tourists watching you… But don’t fret! 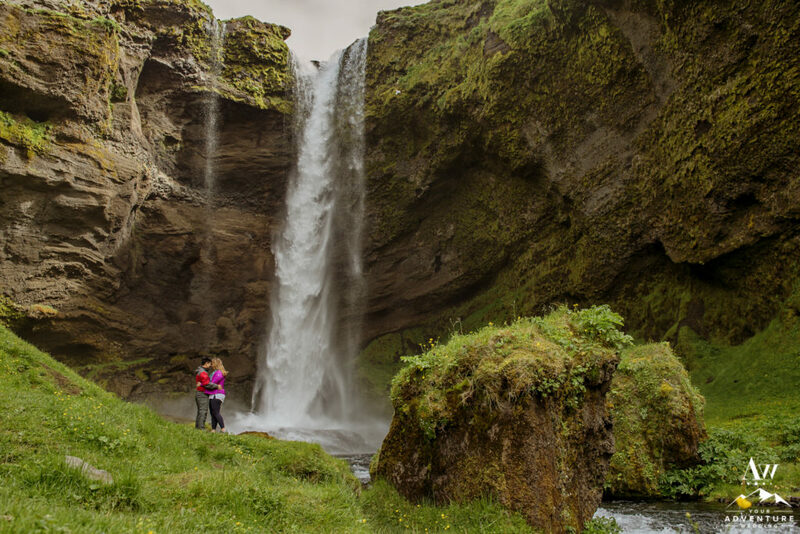 Because then you find us, here at Iceland Wedding Planner 😉 Almost instantly the stress leaves you and the excitement comes back! 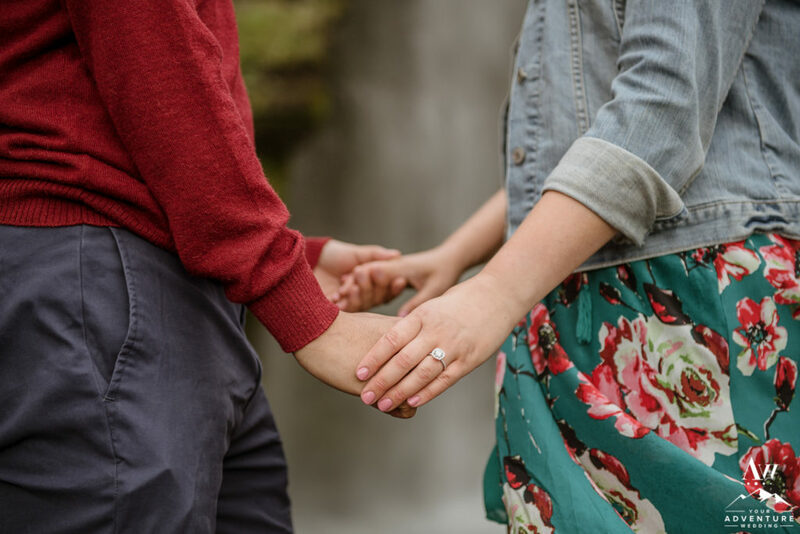 This was exactly the case for Robert from Brooklyn, New York who was ready to propose to his fabulous girlfriend, Olga. 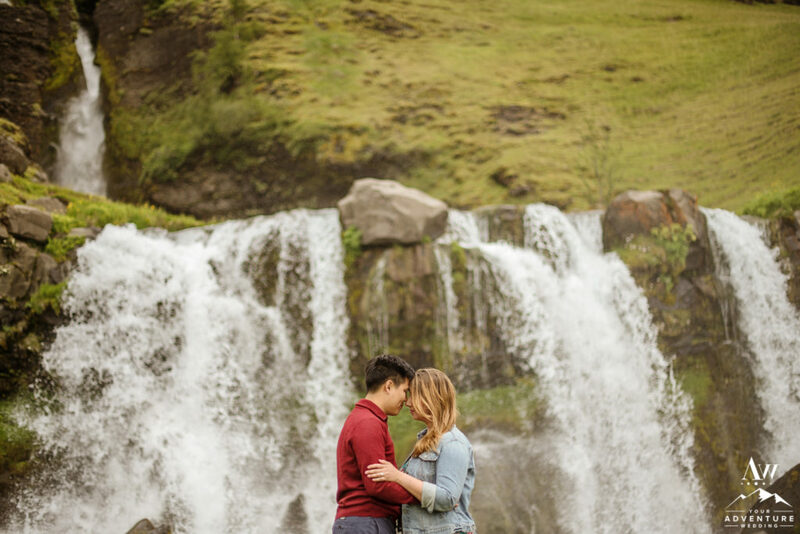 It was important to Robert to have the element of surprise be full on because if not, Olga would catch on quickly. 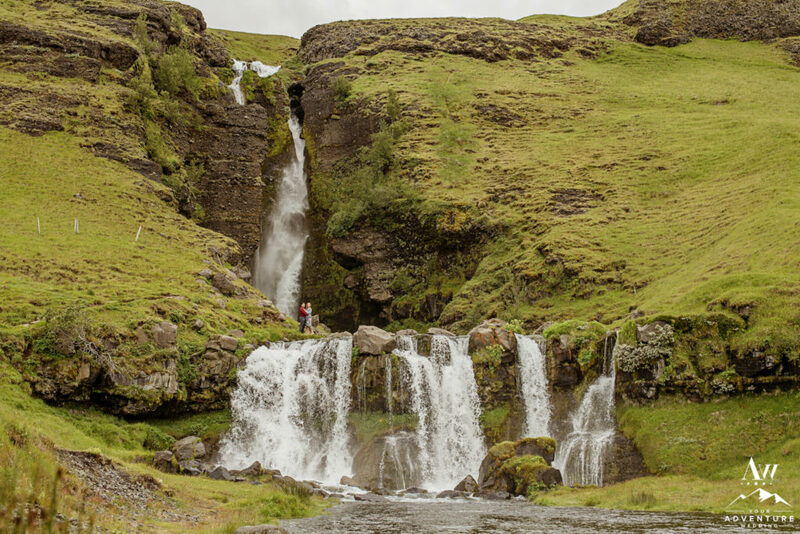 After a pros/cons review of our awesome location options, he decided a secret waterfall in Southern Iceland was the perfect spot! 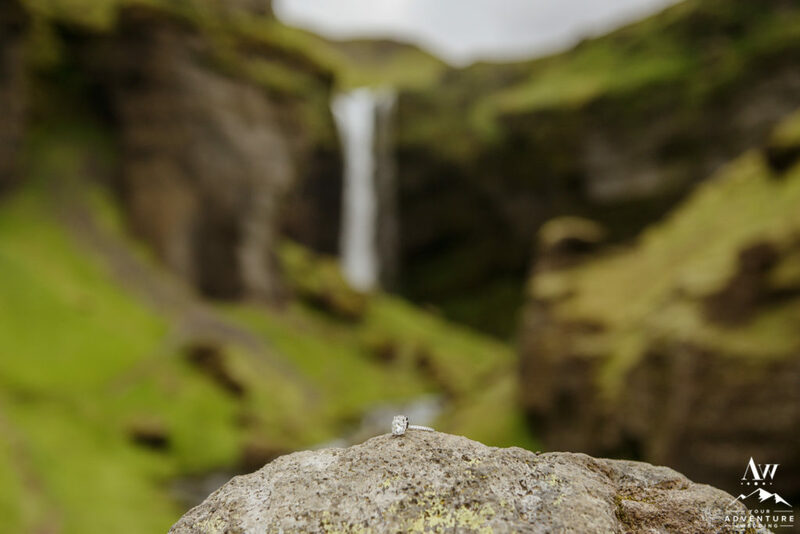 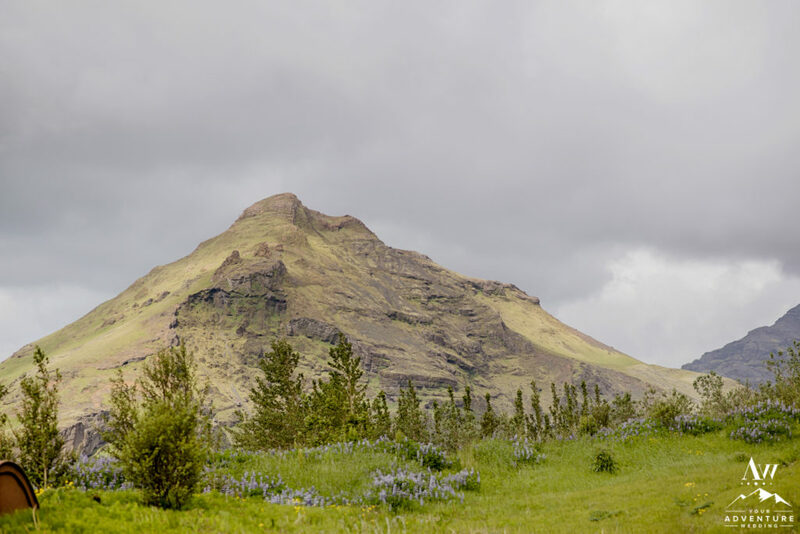 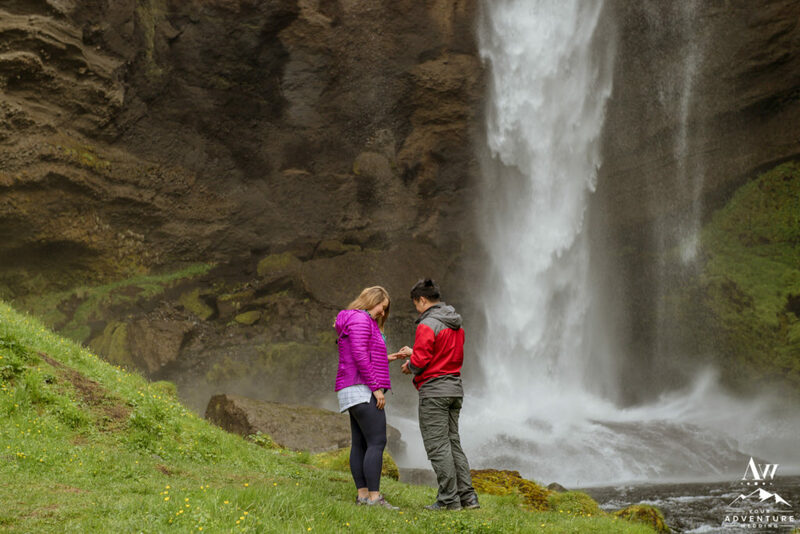 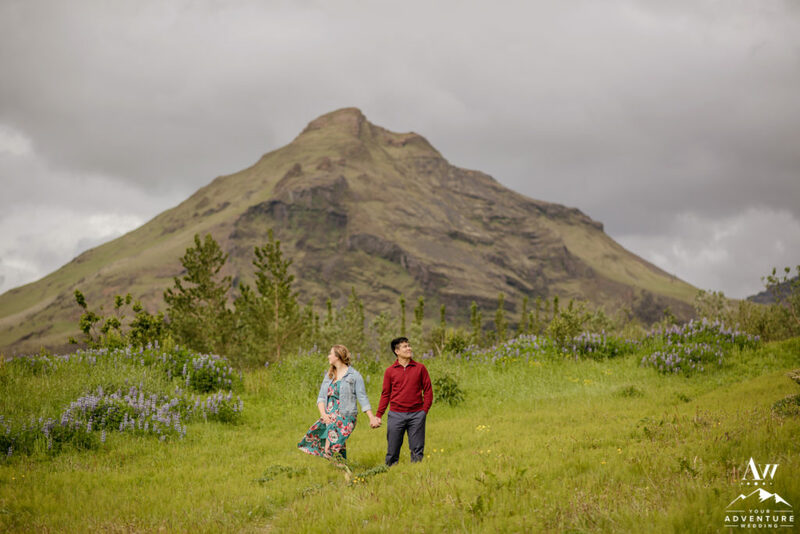 Our Iceland Wedding Planner team basically emailed him GPS coordinates and he took Olga there that summer morning for what she thought was just another awesome adventure, not a proposal. 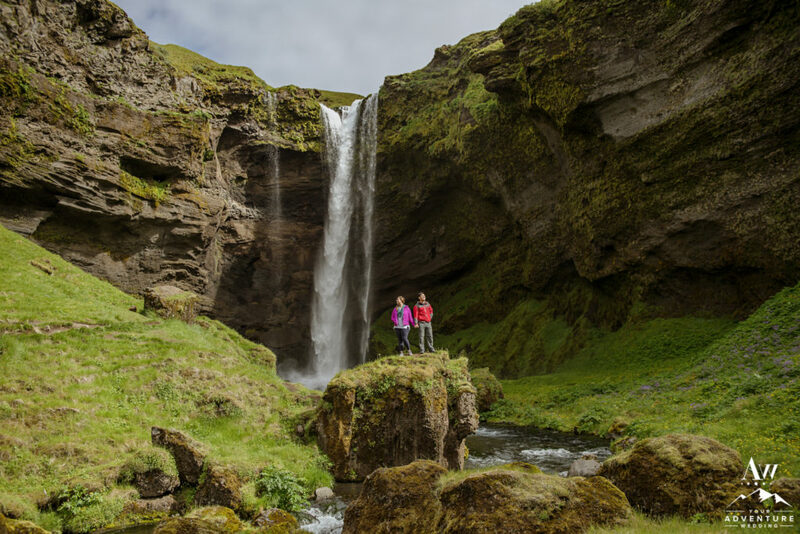 Our team tucked themselves in hiding and watched the two of them approach the waterfall (without ever meeting them). 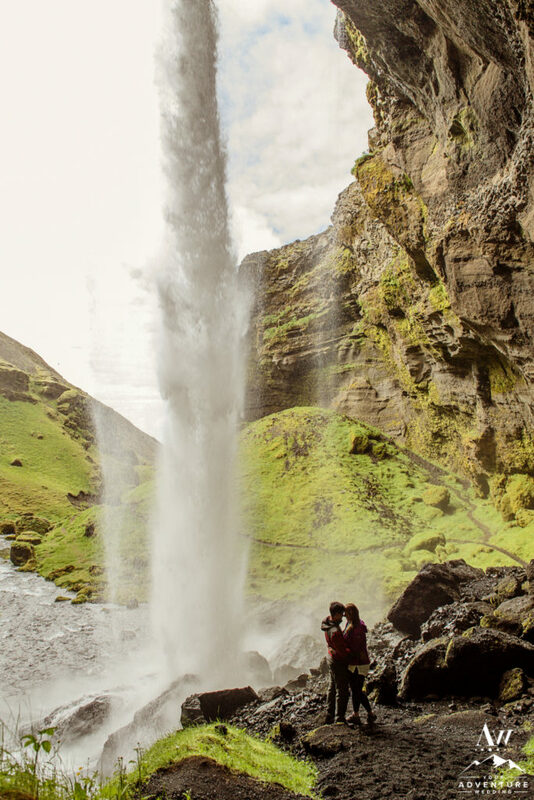 Then it was Robert’s moment to shine and Olga was SURPRISED. 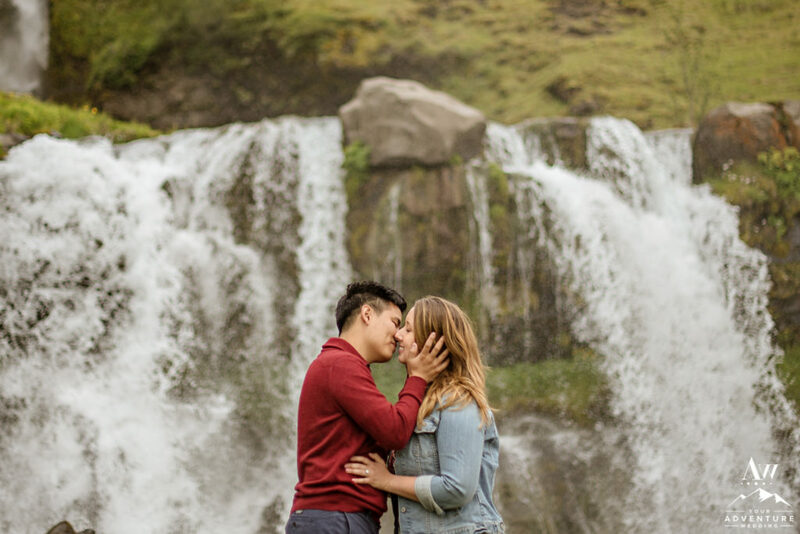 There she was standing at a secret waterfall with no one there, being proposed to by the love of her life, and just realizing someone was there documenting it! 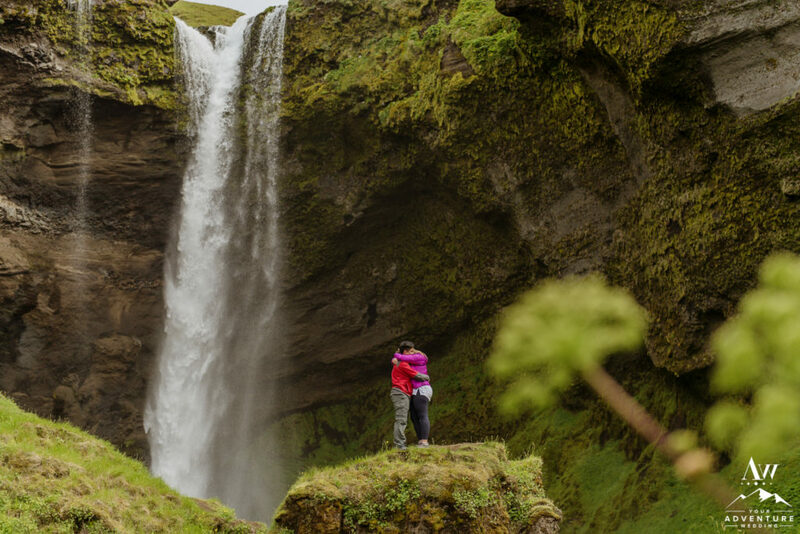 It was priceless! 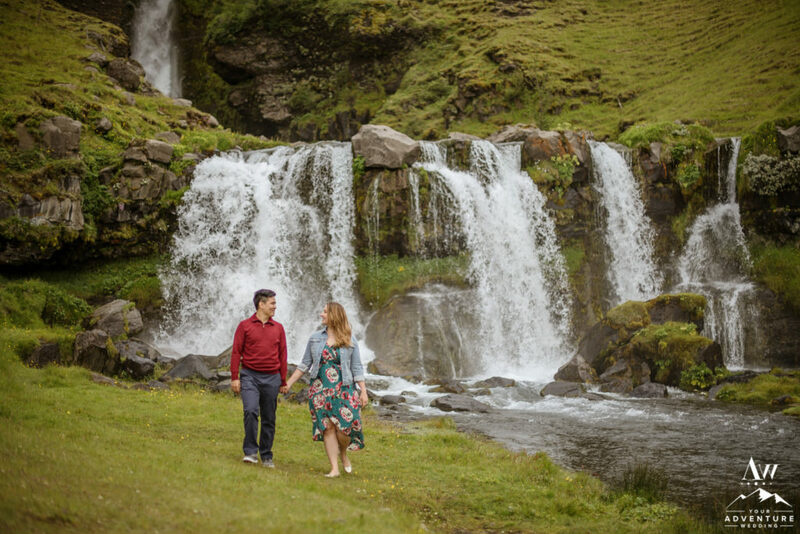 From there, Robert continued with the surprises and let her know they were going to delight on photo adventure with our Iceland wedding photography team to some lovely offbeat areas of Iceland! 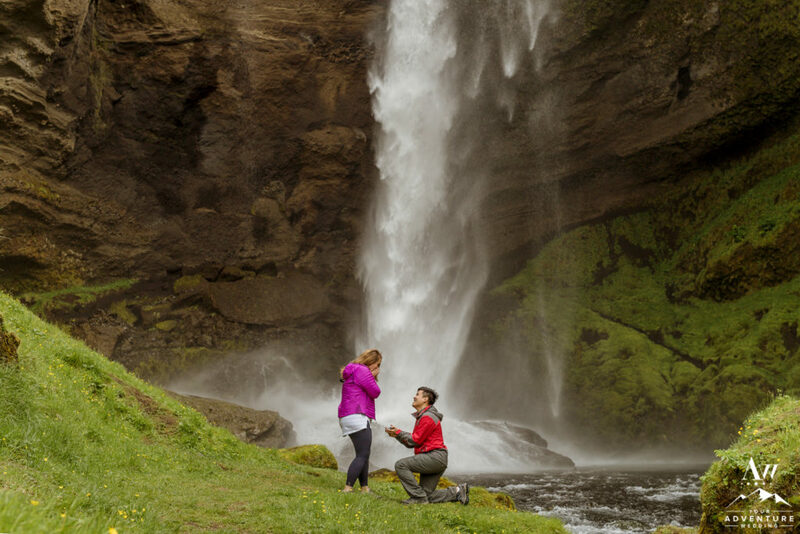 To say she was happy, would be an understatement! 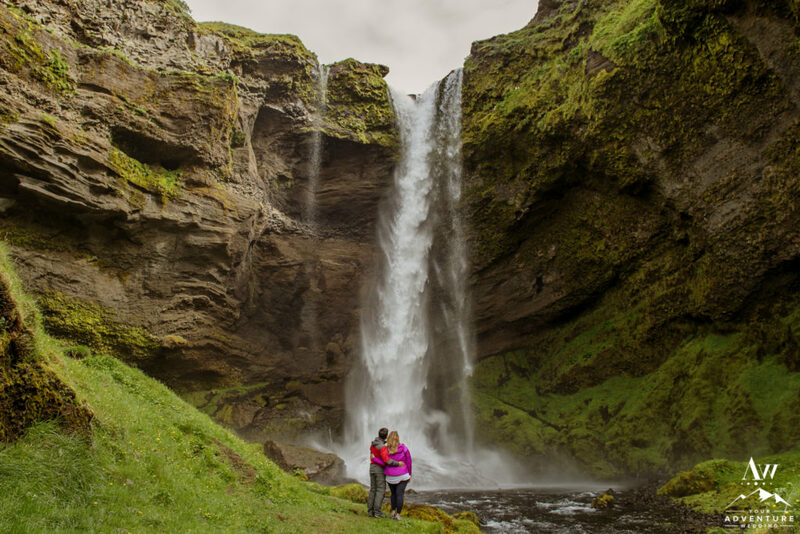 They kissed, they cuddled, they adventured hard, and explored hand in hand really savoring the moments and locations. 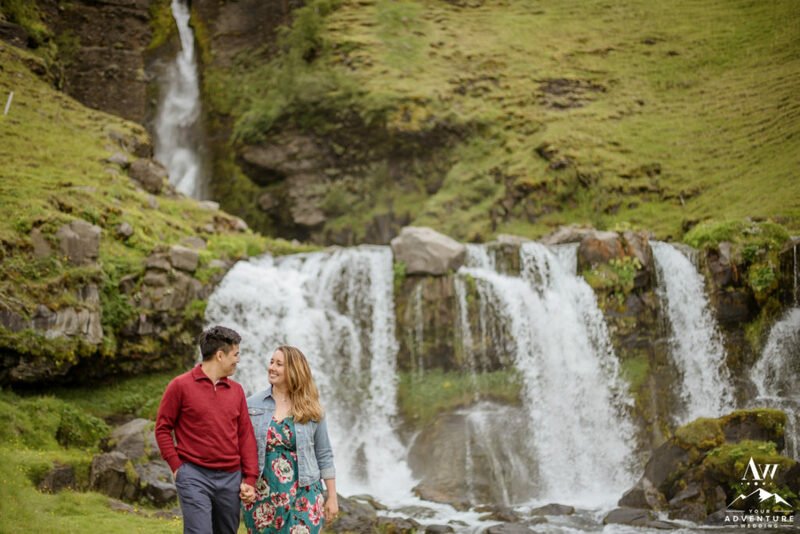 So come along with us today as you witness two love birds take it to the next level and start their new milestone of having an engagement in Iceland!